I Hate Facebook Timeline, I Want to Get My Old FB Page Layout Back! 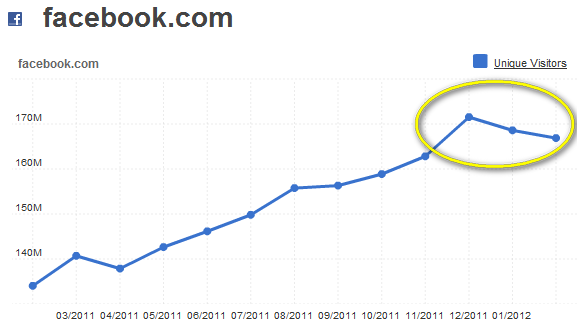 TechPinas Founder Notes: "Facebook Rant"
As if the timing of the downward inflection in FB traffic isn't enough a sign that Timeline could be the main culprit for the steadily diminishing interest of users in Facebook, the "layout" today went live for all Facebook Pages, shoved down the throats of all Page owners -- even those who don't particularly want it, like me. Oh, I hate it. 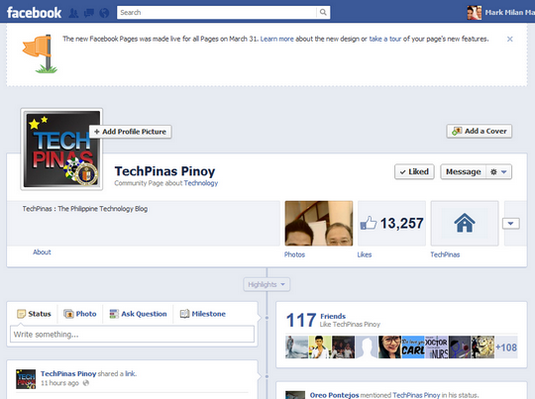 I'm forced to use it on my personal account and now, I have to use it on the TechPinas Community Page! I honestly thought that the layout was kinda cute when Mark Zuckerberg unveiled Timeline September last year. He had his dog on the cover and everything appeared organized; Timeline sure looked promising then. But the more I use it now, the more I despise it. And I have at least three reasons why. 1. It has a major glitch of not showing some of my recent posts. Earlier, I shared a Youtube link and posted a status update on my page and they're now nowhere to be seen. I keep refreshing the page to no avail. Now, imagine if you accidentally shared something on your Timeline - something crazy, wild or morally distasteful - and you can't take it back simply because you can't even find the post. That'd be an utter disaster, right? 2. It shows posts and mentions from a year back right at the top fold. I know Facebook is good for nostalgia but that's just too much. 3. The two-column layout can be confusing and takes a bit of getting used to -- especially if you're the type who wants everything straight-forward and organized. Honestly, I think it's far from being user-friendly. Heck, for me, it's totally cluttered with stuff that don't really need to be there; It's such a 'high-maintenance' layout and I hate it. The former simple single-column layout was good enough, I think; I miss it actually. I want it back. So what exactly do I want from Facebook team? Well, they need to quit surprising users with design changes that take the joy out of using Facebook and start offering options. Allow us to fix our own pages the way we want to; Give us tools; Let us customize and personalize our Facebook space. I think that'd a better strategy to engage users on the site more. I know Facebook is big & all; Looks stable & unbeatable. But these days, you'll never know.